Welcome to Specimen Trees, where we have been growing world class trees and plants since 1966 in some of the richest soils in the UK. As one of the UK's most important suppliers to the professional plant specifier, we can provide the quality and service you require at all times. 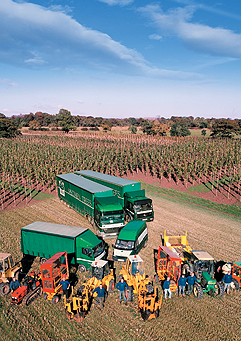 Plants are grown in deep Cheshire soils, and delivered directly to site by our own transport. Contract growing, extended cold storage, and experienced planting teams add to the support we offer all our customers. We produce trees by a process of sustainability. Our deep loam free soils are among the best in the UK and we strive to protect and manage it by incorporating pest management in preference to pesticides.